There was only one shooter with the top score in division 1 for round 15, 100 was shot by D Simpson (Wick Old Stagers). Congratulations to Wick Old Stagers “A”, Division 1 winners. Top score in division 2 for round 15 was 99 shot by B E Mackay (Watten). Congratulations to Wick Old Stagers “B”, Division 2 winners. Top score in division 3 for round 15 was 100 shot by B Spence (Orkney). Congratulations to Pentland “B”, Division 3 winners. Top score in division 4 for round 15 was 98 shot by I Gunn (Stirkoke). Congratulations to Keiss, Division 4 winners. Top score in division 5 for round 15 was 97 shot by J Lorimer (Banff & Macduff). Congratulations to Banff & Macduff “B”, Division 5 winners. Top score in division 6 for round 15 was 93 shot by N Hodgson (Wick Old Stagers). Congratulations to Wick Old Stagers “C”, Division 6 winners. There were three shooters with the top score in division 1 for round 14, 100 was shot by J Henderson (Watten), R B Campbell (Halkirk) and L Thomson (Banff & Macduff). Top score in division 2 for round 14 was 99 shot by N Brims & G Mackay (Watten), GG Levack (Halkirk) and S S Nicolson (Wick Old Stagers). Top score in division 3 for round 14 was 99 shot by M Mackay (Westfield) and B D Mackintosh (Dingwall). Top score in division 4 for round 14 was 97 shot by A Webster and J M Sutherland (Stirkoke). Top score in division 5 for round 14 was 97 shot by J Ross and J Lorimer (Banff & Macduff). Top score in division 6 for round 14 was 98 shot by A MacDonald (Wick Old Stagers). Stirkoke “E” had a Bye. Top score in the Junior League for round 14 was 94 shot by C Green (Westfield). Congratulations go to Westfield D who after the 14th and final round of the junior league are crowned champions. Winning the league by a better aggregate over Pentland E, both teams had 22 points but Westfield’s superior aggregate carries them through. There were three shooters with the top score in division 1 for round 13, 100 was shot by S Nicolson (Wick Old Stagers), P Richard (Pentland) and L Thomson (Banff & Macduff). Top score in division 2 for round 13 was 98 shot by H Levack (Halkirk) and K Sutherland (Dallas). Top score in division 3 for round 13 was 98 shot by P Gates (Pentland). Top score in division 4 for round 13 was 97 shot by A Johnston (Keiss). Top score in division 5 for round 13 was 99 shot by L G Thomson (Banff & Macduff). Top score in division 6 for round 13 was 97 shot by A MacDonald (Wick Old Stagers). Watten “E” had a Bye. Top score in the Junior League for round 13 was 96 shot by C Green (Westfield). Stirkoke Rifle Club now have a Blind / Visually Impaired sight which is fitted to a single shot target air rifle and used at 10 metres (shooter to target). The sight works on sound which varies in pitch as the centre is approached. This can be used in training mode which fires no ammunition but tells the shooter what the shot would have scored when the trigger was pulled. After the shooter has gained confidence they can move on to live-fire using pellets and paper targets. The winning team comprising of :- P Sutherland, I Sutherland, G Robertson, R Innes. Scores are for a team of four shooting two cards each. The Daisy Trust Indoor Championship 2019 will be held in Stirkoke range on Wednesday 20th February 2019 at 7:30pm. This competition is confined to juniors who are members of a Caithness rifle Club. Competitors must be under age 18 at the date of competition i.e.20/02/19. Two targets at 20 yards to be shot by each competitor. Four competitors with the highest scores will shoot further target. Each round will be squadded. Targets will be re-gauged if required. The winner will receive the Daisy Indoor Trophy, to be retained for one year. There is no monetary prize. However, there are no longer restrictions on how many times an individual can win the trophy, as long as the individual meets the other criteria.. There was only one shooter with the top score in division 1 for round 12, 100 was shot by W A Copland (Banff & Macduff). Top score in division 2 for round 12 was 100 shot by L MacDonald (Wick Old Stagers). Top score in division 3 for round 12 was 100 shot by B Spence (Orkney) and R H Meiklejohn. Top score in division 4 for round 12 was 97 shot by A Budge (Halkirk). Top score in division 5 for round 12 was 99 shot by J Ross (Banff & Macduff). Top score in division 6 for round 12 was 96 shot by J Hendry (Stirkoke). Westfield “D” had a Bye. Top score in the Junior League for round 12 was 92 shot by S Richard (Pentland). There were 2 shooters with the top score in division 1 for round 11, 100 was shot by H Simpson (Wick Old Stagers) and R B Campbell (Halkirk). Top score in division 2 for round 11 was 99 shot by A W Paul (Wick Old Stagers) and K Sutherland & N Sutherland (Dallas). Top score in division 3 for round 11 was 99 shot by B Spence (Orkney). Top score in division 4 for round 11 was 98 shot by C Budge (Halkirk). Top score in division 5 for round 11 was 98 shot by L G Thompson (Banff & Macduff). Top score in division 6 for round 11 was 95 shot by T Hawes (Halkirk). Wick Old Stagers “D” had a Bye. Top score in the Junior League for round 11 was shot by C Green (Westfield). There were 2 shooters with the top score in division 1 for round 10, 100 was shot by H Simpson (Wick Old Stagers) and J G Campbell (Halkirk). Top score in division 2 for round 10 was 99 shot by A W Paul (Wick Old Stagers). Top score in division 3 for round 10 was 99 shot by and B D Mackintosh (Dingwall). Top score in division 4 for round 10 was 99 shot by H Levack (Halkirk). Top score in division 5 for round 10 was 95 shot by J Lorimer (Banff & Macduff). Top score in division 6 for round 10 was 96 shot by J Hendry (Stirkoke). Halkirk “E” had a Bye. Top score in the Junior League for round 10 was shot by D Mowat (Pentland). There were 5 shooters with the top score in division 1 for round 9, 100 was shot by D Simpson (Wick Old Stagers), D Mowat (Pentland), D Bremner & D Wilson (Watten) and L Thomson (Banff & Macduff). Top score in division 2 for round 9 was 100 shot by G Sutherland (Wick Old Stagers). Top score in division 3 for round 9 was 99 shot by M Macaskill (Westfield), B Spence (Orkney) and R H Meiklejohn (Dingwall). Top score in division 4 for round 9 was 98 shot by C Budge (Halkirk). Top score in division 5 for round 9 was 98 shot by J Lorimer (Banff & Macduff). Top score in division 5 for round 9 was 94 shot by A Macdonald (Wick Old Stagers). Pentland “E” 35 had a Bye. Top score in the Junior League for round 9 was shot by C Green (Westfield). The full set of scores and results are available below. Halkirk, Stirkoke, Pentland and Stagers “A” will compete shoulder to shoulder in the final stage of the competition on the Stirkoke Range, on Tues 5th Feb 2019. I would like to invite nominations for the 2019 Scottish Schools International Match from shooters in full time school education. The Match Period this year is from Mon.18th Feb to Mon. 11th Mar. I need all of the cards to be returned to me by Sat. 16th Mar. 2019. The format is that each team member will shoot two 10 bull cards on their home range. I would like to have nominations of shooters who currently have an average of 93+ on 10 bull cards and are qualified to shoot for Scotland through birth , Parental birth , residence in Scotland or attending a school in Scotland. It would also be useful if you could advise as to match experience and temperament. Please send me your nominations as soon as possible and by Fri. 8th Feb. at the latest. I can then send out the relevant stickers and witness certificates in ample time for the Match Period. I will select two teams of 12 firers each (best 10 to count) and let you have the stickers for their cards before the start of the Match Period. Could you please confirm to me the Postal address that you wish to use for these. There were 2 shooters with the top score in division 1 for round 8, 100 was shot by B Young (Wick Old Stagers) and R Campbell (Halkirk). Top score in division 2 for round 8 was 99 shot by G Sutherland (Dallas). Top score in division 3 for round 8 was 99 shot by J Coghill (Pentland), B D Mackintosh & R H Meiklejohn (Dingwall). Top score in division 4 for round 8 was 98 shot by H Levack (Halkirk). Top score in division 5 for round 8 was 98 shot by W G Steven (Pentland). Top score in division 5 for round 8 was 97 shot by A Macdonald (Wick Old Stagers). Pentland “F” had a Bye. Top score in the Junior League for round 8 was shared between three shooters, 93 was shot by C Green (Westfield), R Levack (Halkirk) and D Mowat (Pentland). There were 3 shooters with the top score in division 1 for round 7, 100 was shot by S Nicolson (Wick Old Stagers); D Bremner (Watten) and L Thomson (Banff & Macduff). Top score in division 2 for round was 100 shot by A W Paul (Wick Old Stagers). Top score in division 3 for round 7 was 98 shot by G A Mackay & M Mackay (Westfield); A Cowe & W D Mowat (Pentland) and B Spence (Orkney). Top score in division 4 for round 7 was 98 shot by H Levack and A Budge (Halkirk). Top score in division 5 for round 7 was 97 shot by R Embury (Clachnacudden). Top score in division 5 for round 7 was 99 shot by A Macdonald (Wick Old Stagers). Top score in the Junior League for round 7 was 94 shot by S Richard (Pentland). There were 3 shooters with the top score in division 1 for round 6, 100 was shot by H Simpson & B Young (Wick Old Stagers) and P Richard (Pentland). Top score in division 2 for round 6 was 100 shot by G Robertson (Watten). Top score in division 3 for round 6 was 100 shot by P Gates (Pentland). Top score in division 4 for round 6 was 98 shot by G Baikie (Westfield) and G McDonald (Dufftown). Top score in division 5 for round 6 was 96 shot by R Embury (Clachnacudden) and M Zugaj (Banff & Macduff). Top score in division 5 for round 6 was 95 shot by A Macdonald (Wick Old Stagers). Watten “E” 209 had a Bye. Top score in the Junior League for round 6 was 91 shot by S Richard (Pentland). Caithness Inter-County shooters may be wondering why the NSRA winter league stickers have not been issued to date, considering that normally half of the league would have been shot by this time. I hope the following will explain the current position. On 14/09/18 the NSRA advised that faulty 25 yd targets had been distributed, and were to be recalled. The stock that I hold is not affected, and I believe that Westfield RC’s stock is OK too. On 09/10/18 the NSRA advised that further faulty targets had been distributed but did not specify which targets were affected. On 14/11/18 the NSRA advised that targets 2010BM/89, amongst others, are not acceptable for NSRA competitions. This is the 20yd target that I have used to date. I received the winter league stickers on 17/11/18, along with notification that the LDFS for Rds 1 to 5 would be extended to 14/01/19.Full details of extension dates were advised on 20/11/18. On 04/12/18 I requested clarification from NSRA, as the paperwork accompanying round 2 of the Knock-out competition stated that the 1989 series targets could be used. I was advised that 2010BM/89 were not acceptable for NSRA comps, and that the new 2010BM/89-18 targets will be available to order once they were proofed and quality checked and if there were problems with delays further extensions will be granted. So the situation is, I cannot use 2010BM/89 targets for the Inter-County winter competitions, but I cannot order the new 2010BM/89-18 targets as they have not been printed yet, and there is no indication of when they will be available. I received stickers for round 2 of the Knock-out comp on 06/12/18. The LDFS is 07/01/19 to allow for any club closures over the Christmas period, and the targets have to be with the scorer by 12/01/19. I will have to request an extension but of course this will have an effect on to each subsequent round and I’m sure nobody wants to shoot the final in April. I check the NSRA website each day for up-dates on the situation and I will continue to do so to resolve this problem. I envisage that(if I get new targets in the New Year) that all of the league will have to be shot in a 4 –6 week period. I will provide further information about the league whenever I receive it here, on this website whenever I can. Caithness beatBedfordshire in Round 1 of the competition 1954 points to 1899. 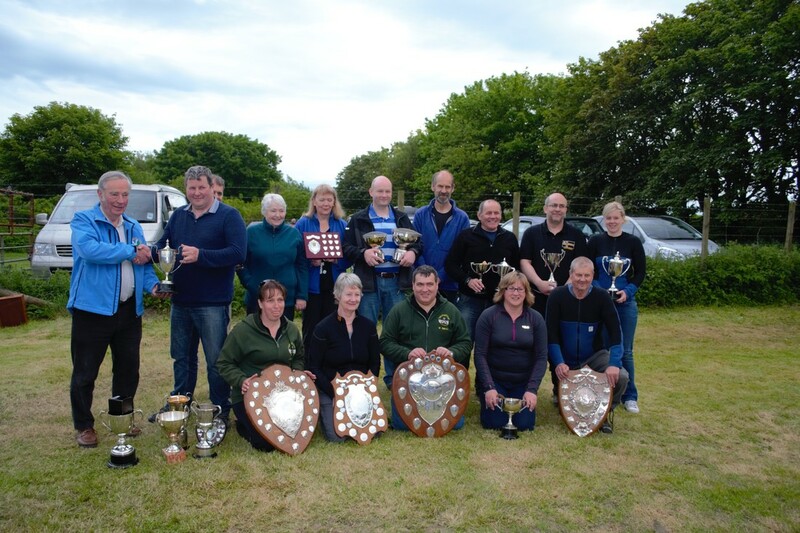 A full set of results and the scores for the Caithness shooters are available for download below. There were 2 shooters with the top score in division 1 for round 5, 100 was shot by H Simpson (Wick Old Stagers) and R B Campbell (Halkirk). Top score in division 2 for round 5 was 99 shot by N Brims (Watten). Top score in division 3 for round 5 was 99 shot by J Coghill (Pentland) and R H Meiklejohn (Dingwall). Top score in division 4 for round 5 was 98 shot by A Budge Jnr (Halkirk). Top score in division 5 for round 5 was 97 shot by W G Steven (Pentland) and A Murray (Clachnacudden). Top score in division 5 for round 5 was 93 shot by G Hendry (Stirkoke) and A Macdonald (Wick Old Stagers). Top score in the Junior League for round 5 was 91 shot by M Mackay (Watten). The competition was shot on Sunday night in the Lieurary hall at a range of 25 yards. Congratulations go to all the winners. There were 2 shooters with the top score in division 1 for round 4, 100 was shot by D Bremner (Watten) and W A Copland (Banff & Macduff). Top score in division 2 for round 4 was 99 shot by N Brims (Watten), G Robertson (Stirkoke) and A W Paul & S Nicolson (Wick Old Stagers). Top score in division 3 for round 4 was 99 shot by J Coghill (Pentland), B Spence (Orkney) and B D Mackintosh (Dingwall). Top score in division 4 for round 4 was 98 shot by A McDonald (Keiss). Top score in division 5 for round 4 was 98 shot by R Emburey (Clachnacudden) and J Lorimer (Banff & Macduff). Top score in division 5 for round 4 was 95 shot by J Cameron & G Hendry (Stirkoke). Top score in the Junior League for round 4 was 98 shot by C Green (Westfield). Postal Round to be shot by Mon 7th Jan 2019. Cards to marker* by Sat 12th Jan 2019. The four winning teams from postal round will compete shoulder to shoulder at 20 yards in Stirkoke Range on Tues 5th Feb 2019 for the trophy. The 2019 Stirkoke Indoor Open Shoot will follow a NEW FORMAT this year. The first stage of the competition will be a postal stage with only 1 target to be shot rather than the 3 required in previous years. The top eight shooters from each class will then take part in a final stage to be shot on the Stirkoke Range on 12th January 2019. The Competition will be run in Four Classes based on averages from the 2017/2018 Caithness Winter League. Anyone who did not shoot in this league should submit the average of their last 5 cards. The postal stage will be one target at 15, 20 or 25 yards, to be shot on the competitor’s own range and for which stickers will be issued. The final stage will consist of three consecutive targets at 20 yards on the Stirkoke Range for which the time allowed will be 10 minutes, 7 minutes and 5 minutes. There were 3 shooters with the top score in division 1 for round 3, 100 was shot by D Simpson (Wick Old Stagers); J Fraser (Halkirk) and L Thomson (Banff & Macduff). Top score in division 2 for round 3 was 99 shot by W A Campbell (Halkirk). Top score in division 3 for round 3 was 99 shot by B Spence (Orkney), B D Mackintosh & R H Meiklejohn (Dingwall). Top score in division 4 for round 3 was 97 shot by B Cormack (Keiss). Top score in division 5 for round 3 was 98 shot by R Emburey (Clachnacudden). Top score in division 5 for round 3 was 94 shot by A MacDonald (Wick Old Stagers). Top score in the Junior League for round 3 was 95 shot by S Richard (Pentland). There were 2 shooters with the top score in division 1 for round 2, 100 was shot by H Simpson (Wick Old Stagers) and L Thomson (Banff & Macduff). Stirkoke "B" 14 beat Dallas 22Top score in division 2 for round 2 was 100 shot by G Levack (Halkirk). Top score in division 3 for round 2 was 100 shot by B D Mackintosh (Dingwall). Top score in division 4 for round 2 was 99 shot by A Budge Jnr. (Halkirk). Top score in division 5 for round 2 was 97 shot by J Lorimer and M Zugaj (Banff & Macduff). Top score in division 5 for round 2 was 96 shot by A MacDonald (Wick Old Stagers). Pentland “E” had a Bye. Top score in the Junior League for round 2 was 97 shot by M Mackay (Watten). There were 3 shooters with the top score in division 1 for round 1, 100 was shot by P Richard (Pentland) and H Simpson & D Simpson (Wick Old Stagers). Top score in division 2 for round 1 was 100 shot by B E MacKay (Watten). Top score in division 3 for round 1 was 99 shot by B D Mackintosh (Dingwall). Top score in division 4 for round 1 was 97 shot by W MacKay (Keiss), J M Sutherland (Stirkoke), J Nicol & J Rumbles (Dufftown). Top score in division 5 for round 1 was 96 shot by W G Steven (Pentland), G Smith (Clachnacudden) and M MacLennan (Nairn). Top score in division 5 for round 1 was 95 shot by R Levack (Halkirk). Top score in the Junior League for round 1 was 95 shot by A Baikie (Westfield). TEAMS OF EIGHT, SIX TO COUNT. ROUND1 TO BE SHOT BY 10/12/2017. Watten, Pentland, Stirkoke, Halkirk and Westfield all met on the 15th of November to compete for the Wilson Cup. Pentland RC hosted the event with the competitors shooting at 15 yards for the cup. Watten 575; Pentland 566; Stirkoke 564; Halkirk 564; Westfield 553. Full set of result available for download below. Tindall Trophy Inter-County KO Competition. Surrey versus Cheshire & North Wales. Hertfordshire versus Forth & Clyde. Caithness are against Bedfordshire in round 1, the cards are away for marking and once the results are back they will be posted on the website. The Wilson Cup competition will held at the Pentland Range on the 15th November commencing at 7:30 pm. The marker on the night will be J P Campbell. Due to range restrictions the competition will be shot at 15 yds. The full 2018-19 competition calendar is available for download below. The first round of the Holborn Cup is to be shot by the 26th November. Westfield are hosting Halkirk with Pentland travelling to Watten. Wick Old Stagers have the home advantage against Stirkoke. Any shooters travelling to Aberdeen in the near future? The association has some inter county trophies that need to go to Aberdeen. Alternatively, if there is anyone who is going to the Aberdeen Wapinschaw on the 18th of November, could they take the trophies and hand them over there? If you can help us out it would be greatly appreciated. There will be an extension to Round 1 for all the divisions, and junior leagues. The stickers will show that the due date for Round 1 is 29/10/18 but the stickers have just been posted out to the clubs today. Please note, the last date for shooting Rounds 1 and 2 will be 05/11/18. Westfield Rifle Club invite entries for its' annual open individual competition. This will be shot in 3 classes with a trophy awarded to the winner and runner-up in each class. In addition, The Ashley Ann Cup will be awarded to the class winner who has the best aggregate after the 2 cards shot in their respective finals are handicapped as :- Class A, scratch; Class B, +2; Class C, +5;. The Westfield Open is a two-stage competition. The qualifying round is a set of 3 targets consecutively shot on your home range, to be returned for marking by Friday24th November The top 8 shooters in each class will compete in a knockout final at 25 yards in Lieurary Hall on Sunday 2nd December. The minutes of the AGM held on the 17th September are posted below. Entry form and explanation letter available for download below. All entrys to be with Marty by 8th OCTOBER. Good luck for the forthcoming winter season. The Caithness Small-Bore Rifle Association Annual General Meeting is to be held on Monday 17th September 2018 at 7.30pm in the Committee Room of Watten Hall. St Clair cup, presentation of winter league prizes, prize raffle daw will be held on Thursday 8th March in the Watten range @ 7.00pm, marker JP Campbell. Junior Championship will be held on Monday 12th March 2018 in Watten range @ 7.30pm, marker G Baikie. Shearer Cup will be held on Thursday 15th March 2018 in Westfield range @ 7.30 pm, marker JA Manson. Top score in Division 1 for round 15 was 100 shot by D Wilson & J A Henderson (Watten), H Simpson (Wick Old Stagers) and D Innes (Banff & Macduff). Congratulations to the Division 1 winners: - Wick Old Stagers A. Top score in Division 2 for round 15 was 99 shot by P Sutherland (Stirkoke) and M McKay (Westfield). Congratulations to the Division 2 winners: - Stirkoke A. Top score in division 3 for round 15 was 98 shot by R Emburey (Clachnacudden). Congratulations to the Division 3 winners: - Watten B. Top score in division 4 for round 15 was 98 shot by I Gunn (Stirkoke) and J Ross (Banff & Macduff). Congratulations to the Division 4 winners: - Westfield B. Top score in division 5 for round 15 was 98 shot by J Coghill (Pentland). Congratulations to the Division 5 winners: - Clachnacudden B.
Congratulations to the Junior League winners: - Westfield D.
The St Clair Cup which was due to be shot in the Watten Hall tonight (01/03/2018) has been postponed due to the bad weather. As soon as a new date has been decided the revised date will be posted on the web site and all clubs informed as soon as possible. Top score in Division 1 for round 14 was 100 shot by D Simpson (Wick Old Stagers) and D Wilson (Watten). Top score in Division 2 for round 14 was 100 P Sutherland (Stirkoke). Top score in division 3 for round 14 was 100 shot by A Reid (Clachnacudden). Top score in division 4 for round 14 was 99 shot by Mrs S Mackay (Watten). Top score in division 5 for round 14 was 98 shot by S J Blackwood (Halkirk). Top score in the Junior League for round 10 was 95 shot by T Mackenzie (Westfield). Congratulations to Westfield D team who have won the junior division unbeaten. Top score in Division 1 for round 13 was 100 shot by J R Sinclair & G Begg (Wick Old Stagers), R B Campbell & J Fraser (Halkirk), W A Copland & D Innes (Banff & Macduff) and D Wilson (Watten). Top score in Division 2 for round 13 was 9 shot by G G Levak & S Yuille (Halkirk), G Robertson (Stirkoke) and G Ronaldson Wick Old Stagers. Top score in division 3 for round 13 was 99 shot by B E Mackay & G Mackay (Watten). Top score in division 4 for round 13 was 97 shot by T Mackenzie (Westfield), S Mackay & K Mackenzie (Watten) and J Lorimer (Banff & Macduff). Top score in division 5 for round 13 was 98 shot by S J Blackwood (Halkirk). Top score in the Junior League for round 9 was 95 shot by T Mackenzie (Westfield). Top score in Division 1 for round 12 was 100 shot by B Young (Wick Old Stagers) and R L O Brown(Pentland). Top score in Division 1 for round 12 was 98 shot by G Robertson & R Innes (Stirkoke) and W A Campbell (Halkirk). Top score in division 3 for round 12 was 100 shot by B E Mackay (Watten). Top score in division 4 for round 12 was 97 shot by J Ross (Banff & Macduff). Top score in division 5 for round 12 was 98 shot by J Coghill (Pentland). Top score in the Junior League for round 8 was 97 shot by T Mackenzie (Westfield). Top score in Division 1 for round 11 was 100 shot by H. Simpson, G Begg, & S S Nicholson (Wick Old Stagers), J A Henderson (Watten), J G Campbell (Halkirk) and W A Copland (Banff & Macduff). Top score in Division 1 for round 11 was 100 shot by P Sutherland (Stirkoke) and G Ronaldson (Wick Old Stagers). Top score in division 3 for round 11 was 98 shot by R H Meiklejohn (Dingwall) and G Mackay (Watten). Top score in division 4 for round 11 was 100 shot by A Johnston (Keiss). Top score in division 5 for round 11 was 97 shot by H Levack (Halkirk), S Bell & A Rose (Clachnacudden). Top score in the Junior League for round 7 was 96 shot by T Mackenzie (Westfield). Top score in Division 1 for round 10 was 100 shot by H. Simpson, D Simpson & G Begg (Wick Old Stagers). Top score in Division 1 for round 10 was 100 shot by L MacDonald (Wick Old Stagers). Top score in division 3 for round 10 was 100 shot by R H Meiklejohn (Dingwall). Top score in division 4 for round 10 was 99 shot by D Webster (Stirkoke). Top score in division 5 for round 10 was 99 shot by S Blackwood (Halkirk). Top score in the Junior League for round 6 was 94 shot by T Mackenzie (Westfield). Top score in Division 1 for round 9 was 99 shot by H. Simpson (Wick Old Stagers A), S S Nicholson (Wick Old Stagers B) and W A Copland (Banff & Macduff). Top score in Division 1 for round 9 was 100 shot by G G Levack (Halkirk). Top score in division 3 for round 9 was 99 shot by B E MacKay (Watten). Top score in division 4 for round 9 was 97 shot by A Johnston (Keiss), J Lorimer (Banff & Macduff), I Gunn & D Webster (Stirkoke). Top score in division 5 for round 9 was 98 shot by J Coghill (Pentland). Top score in the Junior League for round 5 was 96 shot by T Mackenzie (Westfield). Caithness are now through to Round 3 of the Inter County Knock out competition. The Caithness team beat Forth and Clyde by 12 points, Caithness 1963 against Forth and Clyde’s 1941. The four teams left in the competition are Aberdeenshire, Caithness, Devon and Middlesex. Aberdeenshire look to be favourites at the moment posting a score of 13 points better than Caithness in the last round. A full set of results and scores for round 2 are available for download below. Two shooters achieved the top score in division 1 for round 8, 100 was shot by D. Simpson (Wick Old Stagers A) and N Brims (Watten). Top score in division 2 for round 8 was 100 shot by G Ronaldson (Wick Old Stagers). Top score in division 3 for round 8 was 99 shot by R. H. Meiklejohn (Dingwall). Top score in division 4 for round 8 was 98 shot by S I Mackay & K Mackenzie (Watten) and J Manson (Westfield). Top score in division 5 for round 8 was 97 shot by S J Blackwood (Halkirk). Top score in the Junior League for round 4 was 97 shot by T Mackenzie (Westfield). Only one shooter achieved the top score in division 1 for round 7, 100, shot by W A Copland (Banff and Macduff). Top score in division 2 for round 7 was 100 shot by S Webster (Stirkoke). Top score in division 3 for round 7 was 99 shot by B. D. Mackintosh & R. H. Mackintosh (Dingwall). Top score in division 4 for round 7 was 96 shot by M Macaulay & K Mackenzie (Watten), J Cameron (Stirkoke) and J Lorimer (Banff & Macduff). Top score in division 5 for round 7 was 98 shot by S J Blackwood (Halkirk). Top score in the Junior League for round 3 was 96 shot by D Thomson (Watten). Watten (572) beat Stirkoke (565). Pentland and Halkirk had byes. Round 2 should be shot by the 22nd of January. Pentland are hosts to Halkirk and Wick Old Stagers are at home to Watten. Caithness are through to Round 2 of the Inter County Knock out competition. The Caithness team beating Hampshire by 12 points, Caithness 1964 against Hampshire’s 1952. The Round 2 cards have been shot and are away for marking. Caithness are against Forth & Clyde for a place in the third round. There were 2 shooters with the top score in division 1 for round 6, 100, shot by H Simpson (Wick Old Stagers) and W A Copland (Banff and Macduff). Top score in division 2 for round 6 was 99 shot by S S Nicholson (Wick Old Stagers), S Yuille and J Fraser (Halkirk B). Top score in division 3 for round 6 was 100 shot by B. D. Mackintosh (Dingwall). Top score in division 4 for round 6 was 97 shot by J Manson (Westfield), D Webster (Stirkoke), S I Mackay & K Mackenzie (Watten) and J Ross (Banff & Macduff). Top score in division 5 for round 6 was 99 shot by S J Blackwood (Halkirk). Top score in the Junior League for round 2 was 96 shot by D Thomson (Watten). There were 2 shooters with the top score in division 1 for round 5, 100, shot by H Simpson (Wick Old Stagers) and J A Henderson (Watten). Top score in division 2 for round 5 was 100 shot by L MacDonald (Wick Old Stagers). Pentland “B” 20 tied with Clachnacudden “A” 20. Top score in division 3 for round 5 was 99 shot by B. D. Mackintosh (Dingwall). Top score in division 4 for round 5 was 98 shot by I Gunn (Stirkoke) and B Cormack (Keiss). Top score in division 5 for round 5 was 97 shot by H Levack (Halkirk). Top score in the Junior League for round 1 was 94 shot by S Richard (Pentland). There were 3 shooters with the top score in division 1 for round 4 was 100 shot by H Simpson & D Simpson (Wick Old Stagers) and J A Henderson. Top score in division 2 for round 4 was 100 shot by C Budge (Halkirk). Top score in division 3 for round 4 was 99 shot by G MacKay (Watten). Top score in division 4 for round 4 was 99 shot by M Macaskill (Westfield). Top score in division 5 for round 4 was 98 shot by J Coghill (Pentland). The Wilson Cup competition was held on the Halkirk range with Halkirk clear winners with some excellent shooting. The winners were 8 points clear of Wick Old Stagers, Halkirk only dropped 12 points between 6 shooters out of a possible 600. C Budge and J G Campbell both went clean with possibles, S Yuille 99, R B Campbell & W A Campbell both 97, G G Levack 95. The draw for the Portland Bowl postal round has been made. The initial postal round consists of teams of 4 shooting 2 cards each. The cards for the postal round are to be shot by the 15th of January 2018 with the cards to the marker by 20th January. The 4 winning teams will then compete shoulder to shoulder on the Stirkoke range on Tuesday 6th of February. Good luck and good shooting to all. The draw for the Morven Cup is as follows. WESTFIELD V WICK OLD STAGERS. Round 1 to be shot by 11th of December. Teams of 8 with the best 6 scores to count. There were 2 shooters with the top score in division 1 for round 3, 100 was shot by H Simpson & B Young (Wick Old Stagers). Top score in division 2 for round 3 was 100 shot by P Sutherland & I Sutherland (Stirkoke) and C Budge (Halkirk). Top score in division 3 for round 3 was 99 shot by a Reed (Clachnacudden). Top score in division 4 for round 3 was 98 shot by K Mackenzie (Watten) and D Webster (Stirkoke). Top score in division 5 for round 3 was 98 shot by A Rose (Clachnacudden). There were 3 shooters with the top score in division 1 for round 2, 100 was shot by RH Simpson (Wick Old Stagers), J A Henderson (Watten) and W A Copland (Banff & Macduff). Top score in division 2 for round 2 was 100 shot by P Sutherland (Stirkoke). Top score in division 3 for round 2 was 99 shot by R H Meiklejohn (Dingwall). Top score in division 4 for round 2 was 99 shot by S I MacKay (Watten). Top score in division 5 for round 2 was 96 shot by S. Bell (Clachnacudden) and P Hayward (Nairn). The Wilson Cup competition will be held at the Halkirk range on Thursday 16th November. The range will be open from 6:30 pm for any that wish to shoot early. There was 1 shooter with the top score in division 1 for round 1, 100 was shot by R B Campbell (Halkirk). Top score in division 2 for round 1 was 99 shot by R. Innes (Stirkoke). Top score in division 3 for round 1 was 99 shot by B E MacKay (Watten), A Reed (Clachnacudden) and B D Mackintosh (Dingwall). Top score in division 4 for round 1 was 97 shot by T MacKenzie (Westfield) and J Macken (Banff & Macduff). Top score in division 5 for round 1 was 96 shot by S. Blackwood (Halkirk). An online questionnaire has been launched by HMICS to allow members of the public who have applied in the last two years to Police Scotland for a firearm, shotgun or air weapon certificate to comment on the licensing process. HMICS is undertaking an inspection of Police Scotland’s arrangements for the licensing of firearms, shotguns and air weapons. We will assess the efficiency and effectiveness of those licensing arrangements and welcome the views of those who have applied for a certificate or had an existing certificate renewed or varied in the last two years. We also welcome the views of those who have sponsored an application for a visitor’s permit. In 2015, Police Scotland introduced new internal arrangements for its firearms licensing service. We are interested to hear whether service users have noticed any change in the efficiency or quality of the service provided since then. The questionnaire should take no longer than 10 minutes to complete. The deadline for responses is Friday, 3 November 2017. ​The information received will be used to inform the HMICS inspection which will be carried out during Autumn 2017. A report of the inspection will be published in Winter 2017. 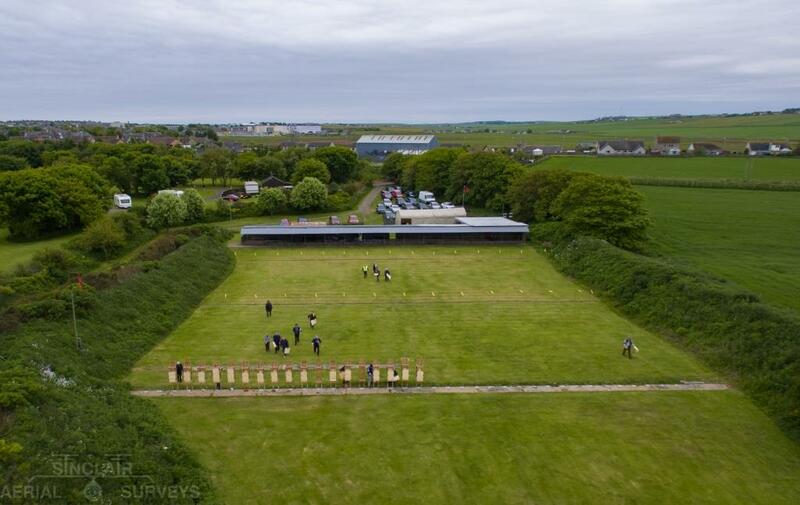 ​The Caithness Smallbore Rifle Association Open County Meeting and Scottish Target Shooting Grand Prix (3rd stage) was held on Saturday 10th & Sunday 11th June at the Wick Old Stagers outdoor range. We would like to say a thank you to all the competitors that travelled to this event especially those from the South and although we had a damp start Saturday morning the sun shone beautifully on the Sunday, I’m sure we all have our own comments on the ‘unique’ wind conditions that we all experienced during the weekend. The competition results are now posted below; congratulations go to all the prize winners who were presented with their cups by Cyril de Jonckheere on the day. Saturday 10th June & Sunday 11th June, 2017 at the range Wick Old Stagers, Thurso Road, Wick, Caithness. Catering will be available at the range. Entry form is available for download below. Caithness have been knocked out of the Inter County Knock out competition in the semi-finals by two points. Surrey 1956, Caithness 1954. Hampshire beat Sussex by the same margin and the same scores 1956 v 1954. Results and scores are below. The Shearer Cup Competition was shot on the Westfield range @ 25 yds. The competition is shot on a round robin league format. Congratulations go to H Simpson who not only had the best gun score but more importantly the most match points. J G Campbell was second and J R Sinclair third. A full set of results are posted below. The St Clair cup was shot for on the Watten range @ 15 yds. Wick Old Stagers “A” won the cup with 9 points dropped from a possible 400. Watten “A” were second with 14 points dropped and joint 3rd was Stirkoke and Wick Old Stagers “B” with 19 points dropped. A full set of results for all teams are posted below. Division 5 & 6 will be updated when results come in. 3 people hit the top score in division 1 for round 15. 100 shot by J G Campbell & G G Levack (Halkirk) and J Henderson (Watten). Top score in division 2 for round 15 was 99 shot by G Mackay (Watten). Top score in division 3 for round 15 was 99 shot by S Yuille (Halkirk). Congratulations to Pentland “B” Division 4 Winners who had the same points as Orkney but a better overall aggregate. Top score in division 4 for round 15 was 97 shot by K Mackenzie (Pentland). Caithness are now through to round 4 of the competition (semi-finals) beating Yorkshire. The team of 20 scored 1955 against Yorkshire’s 1945. Hampshire and Sussex both had the highest score for round 3 of 1970. A full set of results and scores for round 3 are below. Good shooting and best of luck to all. Division 5 will be updated when results come in. 5 people hit the top score in division 1 for round 14. 100 was shot by H Simpson, D Simpson & J R Sinclair (Wick Old Stagers) and N Brims & J Henderson (Watten). Top score in division 2 for round 14 was 100 shot by P Sutherland (Stirkoke) and D Mowat (Pentland ). Top score in division 3 for round 14 was 100 shot by W A Campbell (Halkirk). Top score in division 4 for round 14 was 99 shot by D Sinclair (Orkney). To be updated when results come in. Top score in division 6 for round 14 was 95 shot by I MacPherson (Nairn). Tom Mackenzie, David Thomson, Murray Mackenzie and Ryan Steven shot for the Daisy Trust Cup at the Stirkoke range on Wednesday 22nd. Tom Mackenzie's name will be engraved on the cup which he won with a score of 94. 6 people hit the top score in division 1 for round 13. 100 shot by H Simpson, D Simpson & B Young (Wick Old Stagers), R B Campbell & J G Campbell (Halkirk), L Thomson (Banff & Macduff). Top score in division 2 for round 13 was 99 shot by S Webster & R Innes (Stirkoke). Top score in division 3 for round 13 was 99 shot by R H Meiklejohn & B Mackintosh (Dingwall). Top score in division 4 for round 13 was 98 shot by W D Mowat (Pentland) and D Sinclair (Orkney). Top score in division 5 for round 13 was 98 shot by J Ross (Banff & Macduff). Top score in division 6 for round 13 was 96 shot by D Thomson (Watten). Congratulations go to Pentland E who finished in style with 19 off becoming the top team in the junior league. Top score in the Junior League for round 10 was 96 shot by W D Steven (Pentland E). Please note that due to unforeseen circumstances the JGC Engineering and Technical Services competition will be held in WICK OLD STAGERS range, not Halkirk as notified. Commencement time is unchanged-7.30. pm on Tuesday 21st of February. 8 people hit the top score in division 1 for round 12. 100 shot by H Simpson, D Simpson & J R Sinclair (Wick Old Stagers), J Fraser & G G Levack (Halkirk), W A Copland & N Carle (Banff & Macduff) and J Henderson (Watten). Top score in division 2 for round 12 was 99 shot by S Webster & J Fraser (Stirkoke). Top score in division 3 for round 12 was 99 shot by H Mackellar (Dallas). Top score in division 4 for round 12 was 97 shot by P Gates (Pentland) and D Sinclair (Orkney). Top score in division 5 for round 12 was 99 shot by R Murray (Banff & Macduff) and R Embury (Clachnacudden). Top score in division 6 for round 12 was 98 shot by P Hayward (Nairn). Some excellent shooting across the county with the top score in the Junior League for round 9 being 100 shot by S Yuille (Halkirk). Congratulations go to Halkirk who took the Cup home from the Stirkoke Range on Tuesday night after beating Pentland, Watten and Stagers "B" in the final. All scores are in the document below. Top score in division 1 for round 11 was 100 shot by H Simpson & D Simpson(Wick Old Stagers) and W A Copland & D Innes (Banff & Macduff). Top score in division 2 for round 11 was 100 shot by R L O Brown (Pentland). Top score in division 3 for round 11 was 100 shot by K Sutherland (Dallas). Top score in division 4 for round 11 was 98 shot by W D Mowatt (Pentland). Top score in division 5 for round 11 was 98 shot by J Ross (Banff & Macduff). Top score in division 6 for round 11 was 92 shot by A Smith (Watten). Top score in the Junior League for round 8 was 94 shot by W D Steven (Pentland). Top score in division 1 for round 10 was 100 shot by H Simpson (Wick Old Stagers) and G G Levack (Halkirk). Top score in division 2 for round 10 was 99 shot by D Thomson (Watten). Top score in division 3 for round 10 was 99 shot by K Sutherland (Dallas). Top score in division 4 for round 10 was 98 shot by A Cowe (Pentland). Top score in division 5 for round 10 was 98 shot by R Mackay (Stirkoke) and R Murray (Banff & Macduff). Top score in division 6 for round 10 was 93 shot by A Jappy (Westfield) and D Smith (Nairn). Top score in the Junior League for round 7 was 96 shot by S Yuille (Halkirk). Congratulations go to the winners of the open shoot held in the Stirkoke range on Saturday 28th January. The results of the postal round are available for download below. Watten, Pentland and Halkirk, plus Stagers “B”, who received a bye, will compete in the final stage of the competition on the Stirkoke Range, on Tues 7th Feb 2017. The first detail begins at 7.30pm. Subsequent details begin at 8.00pm, 8.30pm, and 9.00pm. Each detail will consist of a member from respective teams. Each team member returns two cards with unlimited sighting shots on first card but no sighting shots on second. No time limit. 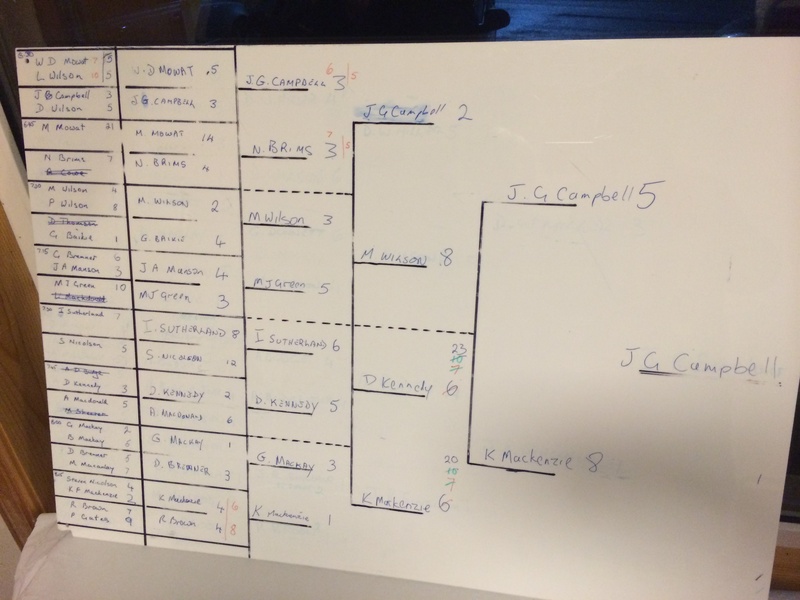 In the event of a tie a re-gauge will determine the trophy winner. Government proposal re club certificates. It has been brought to my attention of a Government proposal regarding an increase to the cost of shooting club certificates. The proposed increase cost is massive, and if this bill goes through I fear that this will be the death of many clubs. The consultation ends on the 9th of March. Can I suggest that all clubs, and individuals be encouraged to respond and submit views. Halkirk 487 beat Stirkoke 473. Watten 473 beat Westfield 470. Morven Cup Round 2 to be shot by 10 of February. The final round to be shot by the 24th February. Top score in division 1 for round 9 was 100 shot by J Fraser (Halkirk), J Henderson & D Wilson (Watten) and W A Copland (Banff & Macduff). Top score in division 2 for round 9 was 100 shot by R Innes (Stirkoke). Top score in division 3 for round 9 was 100 shot by G G Levak (Halkirk). Top score in division 4 for round 9 was 99 shot by W D Mowat (Pentland). Top score in division 5 for round 9 was 98 shot by S Bunn (Clach). Top score in division 6 for round 9 was 97 shot by J Fisher (Pentland). Top score in the Junior League for round 6 was 99 shot by S Yuille (Halkirk). Top score in division 1 for round 8 was 100 shot by R B Campbell (Halkirk), H Simpson & J R Sinclair (Wick Old Stagers) and N Carle (Banff & Macduff). Top score in division 2 for round 8 was 99 shot by C Ronaldson (Wick Old Stagers) and D Kennedy (Pentland). Top score in division 3 for round 8 was 100 shot by L Macdonald (Wick Old Stagers). Top score in division 4 for round 8 was 97 shot by G Cameron (Stirkoke). Top score in division 5 for round 8 was 99 shot by R Murray (Banff & Macduff). Top score in division 6 for round 8 was 95 shot by J Fisher (Pentland). Top score in the Junior League for round 5 was 96 shot by S Yuille (Halkirk). Caithness are through to round 3 of the competition beating Derbyshire. The team of 20 scored 1960 against Deerbyshire’s 1897. Hampshire once again had the highest score for this round of 1967. Caithness are now the only Scottish team left in the competition. Top score in division 1 for round 6 was 100 shot by H Simpson (Wick Old Stagers) and L Thomson (Banff & Macduff). Top score in division 2 for round 7 was 99 shot by W Mackay (Watten) and G Ronaldson (Wick Old Stagers). Top score in division 3 for round 7 was 99 shot by G G Levack (Halkirk), G Hendry (Stirkoke), A Macdonald (Wick Old Stagers), .B Mackintosh & R H Meiklejohn (Dingwall). Top score in division 4 for round 7 was 98 shot by D Sinclair & T Deakin (Orkney). Top score in division 5 for round 7 was 100 shot by R Murray (Banff & Macduff). Top score in division 6 for round 7 was 92 shot by D Smith (Nairn). Top score in the Junior League for round 4 was 95 shot by S Yuille (Halkirk). Top score in division 1 for round 6 was 100 shot by D Simpson & A W Paul (Wick Old Stagers) and L Thomson (Banff & Macduff). Top score in division 2 for round 6 was 99 shot by G Mackay (Westfield), D Kennedy & P Richard (Pentland). Top score in division 3 for round 6 was 99 shot by G Ronaldson (Wick Old Stagers). Top score in division 4 for round 6 was 98 shot by D Sinclair & R Spence (Orkney). Top score in division 5 for round 6 was 99 shot by R Murray (Banff & Macduff) and S Bunn (Clachnacudden). Top score in division 6 for round 6 was 96 shot by J Fisher (Pentland) and A Smith (Watten). Top score in the Junior League for round 3 was 95 shot by S Yuille (Halkirk). the first round of the Portland Bowl (Postal) has to be shot by Monday the 16th January 2017. The winners from the postal round will join Wick Old Stagers B (who had a bye in the first round) in the Stirkoke range on Tuesday 7th February 2017 to determine who will take the trophy home. the attachment below can be downloaded and printed for your club notice board as a reminder. Top score in division 1 for round 5 was 100 shot by J R Sinclair (Wick Old Stagers), J G Campbell & R B Campbell (Halkirk) and D Innes (Banff & Macduff). Top score in division 2 for round 5 was 100 shot by G Mackay (Watten). Top score in division 3 for round 5 was 100 shot by C Budge (Halkirk). Top score in division 4 for round 5 was 99 shot by D Kennedy (Pentland). Top score in division 5 for round 5 was 99 shot by R Murray (Banff & Macduff). Top score in division 6 for round 5 was 96 shot by J Fisher (Pentland). Top score in the Junior League for round 2 was 94 shot by S Yuille (Halkirk). Top score in division 1 for round 4 was 100 shot by H Simpson, D Simpson and G Begg (Wick Old Stagers), J Fraser (Halkirk) and W A Copland Banff & Macduff. Top score in division 2 for round 4 was 99 shot by D W Miller (Wick Old Stagers) and G Bremner (Watten). Top score in division 3 for round 4 was 98 shot by C Metcalf (Wick Old Stagers) S J Blackwood and C Budge (Halkirk), I Sutherland (Stirkoke) and K Sutherland (Dallas). Top score in division 4 for round 4 was 100 shot by D Spence (Orkney). Top score in division 5 for round 4 was 96 shot by W Mackay (Keiss) and R Emburey (Clachnacudden). Top score in division 6 for round 4 was 95 shot by A Smith (Watten), W G Steven and J Fisher (Pentland). Top score in the Junior League for round 1 was 96 shot by W D Steven (Pentland) and S Yuille (Halkirk). The Bogey 8 beat Wick Old Stagers "B” 12. There was only 1 shooter with the top score in division 1 for round 3. 100 was shot by J G Campbell (Halkirk). Top score in division 2 for round 3 was 99 shot by R L O Brown(Pentland), G Baikie (Westfield) and J Fraser (Stirkoke). Top score in division 3 for round 3 was 99 shot by G Ronaldson (Wick Old Stagers) and B D Mackintosh (Dingwall). Top score in division 4 for round 3 was 99 shot by D Kennedy (Pentland). Top score in division 5 for round 3 was 99 shot by R Murray (Banff & Macduff). Top score in division 6 for round 3 was 93 shot by D Thomson and A Smith (Pentland). The draw for the Portland Bowl and Morven cup is as follows. Wick Old Stagers "A” 8 beat Halkirk "A" 11. There were 8 shooters with the top score in division 1 for round 1. 99 was shot by H Simpson and A Paul of (Wick Old Stagers), R B Campbell (Halkirk), D Bremner, J A Henderson and D. Wilson (Watten), N Carle and D Innes (Banff & Macduff). Top score in division 2 for round 2 was 99 shot by M Mckay (Westfield), G Bremner (Watten) and R L O Brown and D Mowat (both Pentland). Top score in division 3 for round 2 was 99 shot by S Yuille (Halkirk), B D Mackintosh and R Meiklejohn (Dingwall). Top score in division 4 for round 2 was 97 shot by A Budge (Halkirk) and D Spence (Orkney). Top score in division 5 for round 2 was 99 shot by R Murray (Banff & Macduff). Top score in division 6 for round 2 was 98 shot by J Fisher (Pentland). 6 teams of 6 shooters met at Watten Hall on Thursday 17th November to determine the winner of the Wilson Cup. Congratulations and the cup go to Pentland who won the cup on a re-gauge with Wick Old Stagers both teams had 15 off but after the .244 gauge went in Pentland won with 17 off against Old Stagers 24. All scores and results are in the document below. Banff & Macduff "A" 8 drew with The Bogey 8. There were 4 shooters with the top score in division 1 for round 1 100 was shot by R B Campbell (Halkirk), H Simpson (Wick Old Stagers), J A Henderson (Watten) and M. Wilson (Watten). Top score in division 2 for round 1 was 99 shot by P Sutherland (Stirkoke) and M Shearer (Westfield). Top score in division 3 for round 1 was 99 shot by S J Blackwood (Halkirk) and K Sutherland (Dallas). Top score in division 4 for round 1 was 97 shot by G Baike (Westfield). Top score in division 5 for round 1 was 99 shot by R Murray (Banff & Macduff). Top score in division 6 for round 1 was 96 shot by G Mackay (Watten). Caithness (the current holders) are through to round 2 of the competition beating Herefordshire. The team of 20 scored 1953 against Herefordshire’s 1879. Hampshire had the highest score for round 1 of 1962. Results and scores are available for download below. The fixture list for the Holborn Cup is available for download below, please print a copy for your club notice board. The downloadable file below outlines the Caithness winter competition calendar. The LDFS for the first round of the league is the 31st of October. Round 1 of the Inter-County knock out (Caithness are the current holders) has to be shot by the 24th October. Round 1 of the Inter-County League is due to be shot by the 31st of October. The AGM will be held on Tuesday 20th of September at 7:30 pm in the committee room at the Watten Hall. The AGM is open to all members of the association but the constitution restricts voting to two members of each club. The agenda will be issued on the night and will follow the same format as previous years. Huntly SBRC have a new competition open to all, the aim is to provide funds for club improvements to the equipment for juniors and to install electronic targets. HSBRC are about to launch our first ever national postal competition. We have been very lucky to secure £1250 of sponsorship as prize money. The entry money for this competition will, along with our other fundraising efforts go towards new club equipment. The main aim of our fundraising is to upgrade our junior equipment and to install electronic targets. There are 4 classes: 1st prize - £200, 2nd prize - £50 in each class with an entry fee of only £5. The club with the highest number of individual entries will receive a special prize of £250. Closing date for entries is 28th October 2016. Please check out our Facebook page: Huntly small-bore Rifle Club where we will post regular updates. We wish HSBRC every success with this new venture and encourage Caithness shooters to support them with their entry in this competition. the Daisy Trust 2000 long range competition will be held at the Wick Old Stagers range on Sunday 14th August. The competition will start at 7.00 pm and consist of two targets at 100yds to be shot. The four competitors with the highest combined scores to go into the final which will consist of a single target at 100 yds. Competitors must be under 18 on the date of the shoot (14-08-16) and must also be a member of a Caithness rifle club. The competition results are now posted below, congratulations go to all the prize winners who were presented with their cups by Alistair Henderson on the day. 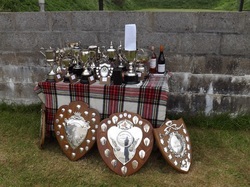 The Caithness Open and SSRA Grand Prix were held over the week end, the results of which will be posted after all checks on the scores are complete. A couple of aerial photographs of the range during the shoot were taken by Sinclair Aerial Surveys and are shown below. It is now confirmed after a tense wait that Caithness have won the Tindall Trophy for the British Inter-County Knock Out Competition. A close run victory of 1953 against Sussex 1952 was confirmed after challenges were not upheld, the markers initial score was confirmed. This county success goes well with the team win of Division 2 with a record of shot 10 won 10 and an impressive aggregate of 19,590. PDFs below show the scores. Saturday 11th and Sunday 12th of June. Come along and have a shoot in the fresh air, get your entry form in early to avoid disappointment. There will be catering on site. The entry forms can be downloaded from below the shoot will be held at the Wick Old Stagers range at the Riverside off Thurso Road Wick. Caithness scored 1,959 to beat Aberdeenshire who had a score of 1,957. Caithness will shoot against Sussex in the final round. Good shooting and best of luck for the final. Results for Caithness Seniors (Division 2); Caithness have won Division 2, shot 10 won 10. Congratulations to all involved a great team effort. Results for Caithness Seniors (Division 2); Caithness have won Division 2 assuming no successful challenges by Devon County. Caithness scored 1,966 to beat Cambridgeshire who had a score of 1,937. The Shearer Cup competition was held at the Westfield Range on the 10th March. All competitors shot in a round robin style competition. The top 3 competitors are listed with a full set of results attached below. R B Campbell was the top shot with 18 points total from an available 20. H Simpson was runner up with 17 points. A good turn out of 10 teams shot for the St Clair Cup at the Watten Range on the 3rd of March. Watten A took the honours with a score of 391, top 4 scores are listed and the full list of results is in the attached file. The top score in division 1 for round 15 was 100, shot by H Simpson & J R Sinclair (Wick Old Stagers), D Bremner (Watten) and W A Copland (Banff & Macduff). Congratulations go to Division 1 winners Wick Old Stagers “A”. Top score in division 2 for round 15 was 100 shot by M Mackay (Westfield) and M Wilson (Watten). Congratulations go to Division 2 winners Wick Old Stagers “B”. Top score in division 3 for round 15 was 100 shot by D Kennedy (Pentland). Congratulations go to Division 3 winners Halkirk “B”. Congratulations go to Division 4 winners Dallas. Top score in division 5 for round 15 was 97 shot by G Cameron (Stirkoke) and D Thomson (Watten). Congratulations go to Division 5 winners Keiss. Top score in division 6 for round 15 was 99 shot by A Purchon (Orkney). Congratulations go to Division 6 winners Orkney. Congratulations go to Pentland “E” winners of the Junior league. Congratulations to Halkirk who won all 5 rounds, a maximum 10 points and a total of 2421. Second was Watten with 3 wins, 6 points and a total of 2311. Third was Westfield, 3 wins, 6 points and a total of 1918. Next is Pentland with 1 win, 2 points and a total of 2296. Next is WOS, 1 win, 2 points and a total of 1453. Next is Stirkoke, no wins, no points and a total of 1908. Thank you all for making a great effort to have this shot, there were only 2 rounds not completed; WOS v Westfield; and Stirkoke v WOS. The top score in division 1 for round 14 was 100, shot by R B Campbell (Halkirk). Top score in division 2 for round 14 was 100 shot by P Sutherland (Stirkoke), G Baikie (Westfield) and B Young (Wick Old Stagers). Top score in division 3 for round 14 was 98 shot by A Budge (Jnr) & W A Campbell (Halkirk) and D Innes & R Murray (Banff & Macduff). Top score in division 4 for round 14 was 100 shot by S Yuille (Halkirk). Top score in division 5 for round 14 was 97 shot by W F Mackenzie (Pentland). Top score in division 6 for round 14 was 98 shot by A Purchon (Orkney). The final is shot home and away, the dates and results are noted below. 25/02/16 Wick wins 2nd leg of Morven, 14 points dropped against Halkirk’s 27. 18/02/16 Wick wins 1st leg of Morven, 9 points dropped against Halkirk’s 21. Wick 23 points dropped (1177 ex 1200). Halkirk 48 points dropped (1152 ex 1200). There were 3 shooters with the top score in division 1 for round 13. 100 was shot by D Simpson (Wick Old Stagers), R Brown (Pentland) and S Henderson (Watten). Top score in division 2 for round 13 was 100 shot by S S Nicholson (Wick Old Stagers). Top score in division 3 for round 13 was 100 shot by D Innes (Banff & Macduff). Top score in division 4 for round 13 was 99 shot by G Sutherland (Dallas). Top score in division 5 for round 13 was 100 shot by D Thomson (Watten). Top score in division 6 for round 13 was 98 shot by A Purchon (Orkney). A full list of competitors scores are in the attached file below. There were 3 shooters with the top score in division 1 for round 12. 100 was shot by G Begg (Wick Old Stagers), G G Levack (Halkirk) and J Henderson (Watten). Top score in division 2 for round 12 was 99 shot by S S Nicholson (Wick Old Stagers). Top score in division 3 for round 12 was 100 shot by A Budge Jnr. (Halkirk). Top score in division 4 for round 12 was 99 shot by L MacDonald (Wick Old Stagers), J M Sinclair (Stirkoke) and G Sutherland (Dallas). Top score in division 6 for round 12 was 98 shot by A Purchon (Orkney). Top score in the Junior League for round 9 was 95 shot by W D Steven (Pentland). The Portland Bowl final was shot on the Stirkoke range on Wednesday 10th Feb. Watten won with a score of 24 points dropped (ex 800). Top score on the night was J Henderson who went clean on both his cards. On the night Pentland had 25 off, Halkirk 25 off and Stirkoke 32. Full list of scores are attached below. Halkirk v Wick in the final. Caithness scored 1,959 to beat Cheshire and North Wales 1,908. LDFS is the 22nd February. There were 4 shooters with the top score in division 1 for round 11. 100 was shot by G Begg & H Simpson (Wick Old Stagers), R B Campbell (Halkirk) and N Carle (Banff & Macduff). Top score in division 2 for round 11 was 100 shot by A W Paul & S Nicholson (Wick Old Stagers). Top score in division 3 for round 11 was 99 shot by G Hendry (Stirkoke). Top score in division 4 for round 11 was 99 shot by L MacDonald (Wick Old Stagers) and S Yuille (Halkirk). Top score in division 5 for round 11 was 98 shot by D Thomson (Watten) and A Johnstone (Keiss). Top score in division 6 for round 11 was 98 shot by T Deakin (Orkney). Top score in the Junior League for round 8 was 98 shot by S Yuille (Halkirk). see below for the results for Caithness Seniors (Division 2) and Juniors (Division 4). There were 5 shooters with the top score in division 1 for round 10. 100 was shot by D Simpson & H Simpson (Wick Old Stagers), D Bremner (Watten), J Fraser (Halkirk) and W A Copland (Banff & Macduff). Top score in division 2 for round 10 was 100 shot by D Wilson (Watten). Top score in division 3 for round 10 was 98 shot by D Kennedy (Pentland). Top score in division 4 for round 10 was 99 shot by B Mackintosh (Dingwall) and N Sutherland (Dallas). Top score in division 5 for round 9 was 98 shot by D Thomson (Watten). Top score in division 6 for round 10 was 98 shot by A W Purchon (Orkney) and T Mackenzie (Westfield). Top score in the Junior League for round 7 was 9 shot by S Yuille (Halkirk). There were 2 shooters with the top score in division 1 for round 9. 100 was shot by D Simpson (Wick Old Stagers) and D Bremner (Watten). Top score in division 3 for round 9 was 98 shot by C Budge (Halkirk). Top score in division 4 for round 9 was 98 shot by S Yuille (Halkirk) and R H Meiklejohn & B Mackintosh (Dingwall). Top score in division 5 for round 9 was 99 shot by D Thomson (Watten). Top score in division 6 for round 9 was 98 shot by A W Purchon & T Deakin (Orkney). Top score in the Junior League for round 6 was 97 shot by C Gunn (Halkirk). There were 5 shooters with the top score in division 1 for round 8. 100 was shot by H Simpson and G Begg (Wick Old Stagers). J Henderson and N Brims (Watten) and W A Copland (Banff and Macduff). Top score in division 2 for round 8 was 99 shot by J R Sinclair (Wick Old Stagers), J Fraser (Stirkoke) and M Mackay (Westfield). Top score in division 3 for round 8 was 99 shot by W A Campbell (Halkirk). Top score in division 4 for round 8 was 100 shot by C Ronaldson and A McDonald (Wick Old Stagers). Top score in division 5 for round 8 was 96 shot by S Mackay & D Thomson (Watten) and A Webster & J Hendry (Stirkoke) and W Mackay (Pentland). Top score in division 6 for round 8 was 98 shot by A W Purchon (Orkney). Top score in the Junior League for round 4 was 96 shot by S Yuille (Halkirk). There were 2 shooters with the top score in division 1 for round 7. 100 was shot by D Simpson (Wick Old Stagers) and D Bremner (Watten). Top score in division 2 for round 7 was 100 shot by P Sutherland (Stirkoke). Top score in division 3 for round 7 was 98 shot by W A Campbell (Halkirk) and D Innes (Banff & Macduff). Top score in division 4 for round 7 was 100 shot by B Mackintosh (Dingwall). Top score in division 5 for round 7 was 96 shot by A Johnstone (Keiss) and W Mackay (Watten). Top score in division 6 for round 7 was 99 shot by A W Purchon (Orkney) and I McPherson (Nairn). Top score in the Junior League for round 4 was 96 shot by W D Steven (Pentland). There were 5 shooters hit the top score in division 1 for round 6. 100 was shot by J A Henderson (Watten), H Simpson & G Begg (Wick Old Stagers), W A Copland & L Thomson ( Banff & Macduff). Top score in division 2 for round 6 was 100 shot by M Mackay (Westfield). Top score in division 3 for round 6 was 99 shot by D Kennedy (Pentland) and G A Mackay (Westfield). Top score in division 4 for round 6 was 99 shot by H MacKellar (Dallas). Top score in division 5 for round 6 was 95 shot by A Webster (Stirkoke), W Mackay (Watten), J Dunnet and A Johnstone both (Keiss). Top score in division 6 for round 6 was 99 shot by A W Purchon (Orkney). Top score in the Junior League for round 3 was 96 shot by C Gunn (Halkirk). Caithness are through to the second round of the KO competition, Result and Scores below. The Westfield Open competition was shot in the Lieurary Hall on the 6th December. the final rounds of the KO competition saw R B CAMPBELL beat R L O BROWN to win the A Class. B Class D SHEARER beat C BUDGE and in C Class M MACKASKILL easily saw off the challenge of A MACDONALD. M MACKASKILL won the Ashley Ann Cup. see the file below for full details of the KO rounds. Top score in division 1 for round 5 was 100 shot by J A Henderson (Watten), R B Campbell (Halkirk), G Begg and D Simpson (Wick Old Stagers). Top score in division 2 for round 5 was 100 shot by A W Paul (Wick Old Stagers). Top score in division 3 for round 5 was 99 shot by R Murray (Stirkoke). Top score in division 4 for round 5 was 99 shot by B MacKintosh (Dingwall). Top score in division 5 for round 5 was 99 shot by A Webster (Stirkoke). Top score in division 6 for round 5 was 98 shot by T Deakin and A Purchon (Orkney). Top score in the Junior League for round 2 was 93 shot by L Sutherland (Halkirk) and W D Steven (Pentland). Top score in division 1 for round 4 was 100 shot by J A Henderson (Watten), G Begg and B Young (both Wick Old Stagers). Top score in division 2 for round 4 was 100 shot by J R Sinclair (Wick Old Stagers). Top score in division 3 for round 4 was 99 shot by R Murray (Banff & Macduff). Top score in division 4 for round 4 was 99 shot by R H Meiklejohn (Dingwall). Top score in division 5 for round 4 was 99 shot by D Thomson (Watten). Top score in division 6 for round 4 was 97 shot by A Purchon (Orkney). Top score in Junior League for round 1 was 97 shot by S Yuille (Halkirk). Final to be shot on Sunday 6th December in Lieurary Hall. Results and qualifiers in the document below. The NSRA reckon 2016 will be a good year for outdoor shooting, see the attached files for details of how to enter. Top score in division 1 for round 3 was 100 shot by S Henderson and D Bremner both (Watten), W.D Mowat (Pentland) and W A Copland (Banff & Macduff). Top score in division 2 for round 3 was 100 shot by P Sutherland (Stirkoke). Top score in division 3 for round 3 was 99 shot by S Webster (Stirkoke) and C Budge (Halkirk). Top score in division 4 for round 3 was 99 shot by B Meiklejohn (Dingwall). Top score in division 5 was 97 shot by S MacKay (Watten). Top score in division 6 for round 3 was 98 shot by R R Spence from Orkney. The NSRA have extended the entry to the 4th of December please see below for the entry form and list of prizes. This competition is a fantastic one to enter, as the prizes are exceptional. Also, simply for entering you get a souvenir gun box sticker and are entered into a free prize draw at the NSRA with the top prize being a years membership to the NSRA which is worth £89! Although the official entry deadline has passed, the NSRA are opening up the entries and applying a new entry close date. Using the attached form, please ensure that your entry reaches us at the NSRA by FRIDAY 4th DECEMBER. Your chance to compete for this magnificent trophy. Stagers "B" V Stirkoke "A"
Please download and print the document below for your notice board. Halkirk "A" 7, beat Watten "A" 11. Wick Old Stagers "A” 9, drew with Banff & Macduff "A" 9. Bogey (8) beat Pentland "A" 10. Top score in division 1 for round 2 was 100 shot by J A Henderson (Watten), H Simpson (WOS) and W A Copland (Banff & Macduff). Wick Old Stagers "B" 7, beat Watten "B" 10. Westfield “A” 13, beat Stirkoke "A" 14. Wick Old Stagers "C" 11, beat the Bogey 13. Top score in division 2 for round 2 was 100 shot by G Begg (WOS) and D Wilson (Watten). Halkirk "B" 10, beat Stirkoke "B" 34. Banff & Macduff “B” 19, beat Pentland "B" 20. Top score in division 3 for round 2 was S Webster (Stirkoke). Dingwall 17 beat Wick Old Stagers "D" 23. Stirkoke "C" 20 beat Dallas 26. Top score in division 4 for round 2 was 98 shot by I Gunn (Stirkoke). Keiss 25, beat Stirkoke “D” 121. Pentland “C” 28, beat Halkirk D 400. Bogey 30, beat Watten “C” 42. A Webster Stirkoke had the highest score in the league with 97. Orkney 19, beat Pentland "D" 137. Nairn 32, beat Westfield "C" 73. Bogey 46, beat Stirkoke "E" 61. Top score in division 6 for round 2 was 100 shot by A Purchon from Orkney. The draw for this competition was held on the Stirkoke Range on Wednesday night after the Wilson Cup shoot. First round byes for Halkirk and Westfield. Watten V WOS and Stirkoke V Pentland first round ties to be held before the 7th of December. Please download and print the document below for your club notice board. The competition was held on the Stirkoke Range on Wednesday night with a good turnout and seven teams competing for the trophy. WOS A won the trophy with Stirkoke and Halkirk jointly in second place. WOS A 580; Stirkoke 576; Halkirk 576; Watten 572; Westfield 561; WOS B 557; Pentland 555. Top score in division 1 for round 1 was 100 shot by J A Henderson (Watten), J G Campbell and J Fraser(Halkirk), B Young (WOS) and W A Copland (Banff & Macduff). Top score in division 3 for round 1 was 98 shot by W A Campbell (Halkirk), S Webster (Stirkoke) and R Murray (Banff & Macduff). Top score in division 4 for round 1 was 100 shot by C Ronaldson (WOS). Watten C 29 beat Keiss 31. Top score in division 5 was 95 shot by G Cameron (Stirkoke), W D Steven (Pentland); S MacKay and D Thomson (Watten). Top score in division 6 for round 1 was 97 shot by A Purchon from across the water in Orkney. The Holborn Cup shoulder to shoulder competition between clubs. The team complement has been reduced to 6 shooters with 5 to count (previously it was teams of 8 with 6 to count). It was noted last year of the difficulties clubs were having to field teams of 8, or 6 so hopefully this reduction will enable clubs to compete more. Short range and long range competitions. The generous sponsorship by Mr James Fleming has now ended after 10 years as he had promised when these competitions were introduced to Caithness SBRA. As there is no money prize to be won, it was decided that 1 of the rules will change. These competitions are confined to members of a Caithness Rifle Club, they must be under age 18 at the date of the competition; no coaching is allowed, BUT now if a junior has already won the trophy, he/she can enter and have the opportunity to win it again (previously each trophy could only be won once). The Competition Calendar kicks off on Wednesday the 18th of November with the Wilson Cup. The venue is the Stirkoke range at 7:30 pm. For the full list of competitions download or open the link below. Caithness County Team Wins British Long Range County Cup. Congratulations go to the team of 12 who fired 40 shots each, 20 at 50 m and 20 at 100 yds. The Caithness Small- Bore Rifle Association Annual General Meeting 2015 will be held on Monday 21st September 2015 at 8.00pm in Watten Hall. Agenda - Apologies, Minutes, Financial Report, Chairman’s report, Election of Office Bearers, affiliated fees, winter completions, summer league, Open meeting, A.O.B. Halkirk, Stagers “A”, Stirkoke “A” and Watten will participate in the final stage of the competition, in the Stirkoke Range, on Wed 11th Feb 2015. The first detail will begin at 7.30pm. Subsequent details begin at 8.00pm, 8.30pm, and 9.00pm. Each detail will consist of a member from respective teams. Each team member returns two cards with unlimited sighting shots on first card but no sighting shots on second. Sinclair Bruce, SSRA Performance Manager will be holding coaching sessions on Saturday 3rd and Sunday 4th January in Stirkoke Rifle Club range. There will be morning and afternoon sessions both days pending on demand. Each session will be 3 to 4 hours. Maximum of 4 persons per session. Please encourage your club members to make the most of this training opportunity, as it is not known when Sinclair will return to Caithness. Anyone wishing to reserve a coaching course please contact Marty Simpson. The Caithness Small-Bore Rifle Association Annual General Meeting will be held in Watten Hall committee room on Monday 15th September 2014 at 8.00pm. The Inter-County League Kolar Gold Mine Challenge Trophy was won by Caithness the first Scottish team to have won this trophy. J R Sinclair 99.60; H Simpson 99.40; J A Henderson 99.20; D Simpson 99.10; S J Campbell 98.50; P Sutherland 98.40; P Richard 98.30; R B Campbell 98.30; D H Bremner 98.30; F Crowden 98.20; S Henderson 98.20; G Begg 98.20; J G Campbell 98.10; D Wilson 97.90; R L O Brown 97.80; N Brims 97.80; G G Levack 97.70; M Wilson 97.70; D Mowat 97.30; S Webster 97.20. Juniors-S Webster 96.30; C Budge 95.80; D Webster 94.00;( 10 targets) L Mackay 89.88 ( 8 targets) D Thompson 81.00( 2 targets). The Inter-County League Kolar Gold Mine Challenge Trophy was presented by Messrs John Taylor & Sons in April 1907 to the Kolar Gold Field Volunteers for Company Drill Competition. It was then presented to the NSRA in April 1957 for annual competition. It has been engraved from 1958 to 2013, and has been won by various English counties. Hampshire had won it continuously since 2003 until Caithness ended their run. CSBRA shooter Sarah Henderson has qualified for the Commonwealth Games after being named in the Scottish team for Glasgow 2014 at Stirling Castle. Read the full article in the John O'Groat Journal. The 2014 Scottish National Meeting will take place in the grounds of Thirlestane castle in Lauder. Entries close for this meeting on Friday 23rd May. To avoid disappointment please get your entries in on time; entries received after 23rd May but before Friday 30th May, will attract a £20 flat rate surcharge. Entries received after 30th May will not be accepted. See attached results for the Holborn cup. Individual scores D H Bremner 99, N Brims 98, R L O Brown 99, J G Campbell 97, R B Campbell 99, S J Campbell 98, F Crowden 96, S Henderson 99, G G Levack 97, G Mackay 100,D Mowat 98, P C Richard 97, D Simpson 100, H Simpson 99, J R Sinclair 100, P Sutherland 96, S Webster 99, D Wilson 95, M Wilson 98, B Young 98. Congratulations to Stirkoke “A” after re-gauge defeated Wick OS “B” by 2 points. Watten RC that they were unable to arrange a fixture with Westfield for Rd 1, and therefore they will forfeit to Westfield. Round 2 now is W.O.S v Stirkoke; Westfield v Halkirk. This round was due by the 27th January but it has now been extended by one week to the 3rd February. The Morven Cup and Holborn Cup matches can be shot at the same time if both clubs agree. Home teams to provide the CSBRA secretary with results as soon as possible. Results of round 2 of the Knockout competition. G Begg 99, D H Bremner 97, N Brims 97, R L O Brown NCR, J G Campbell 99, R B Campbell 99, S J Campbell 99, F Crowden 99, J A Henderson 97, S Henderson 100, G G Levack 99, D Mowat 98, P Richard 98, D Simpson 100, H Simpson 100, J R Sinclair 99, P Sutherland 97, S Webster 95, D Wilson 97, M Wilson 97. Rd 2 results attached. Four qualifying teams in Stirkoke on 1st Feb. The final of the Stirkoke Annual shoot will be held at the Rifle Range, Tannach, on Saturday 11 January 2014 and will, as in previous years, consist of three targets shot at 20 yards. This is a timed event, with details of 10 minutes, 7 minutes and 5 minutes respectively. In the event of a tie, the outcome will be decided by a further target shot within 5 minutes or, if all parties agree, by re-gauging of the target from the final detail. The I.C.I. Challenge Cup for the national knock-out rifle shooting competition open to clubs throughout Britain, was won by Killimster Rifle Club's "C" team during year nineteen-fifty-three. The member of the teams are : - Standing (Left to Right) - G.H.D. Gunn and Don Harrold; Sitting William Manson, president, and Walter Dunnet. Entries are invited for Individual Championships for Classes X, A, B, C, & D. Entries by 30th November 2013. Portland Bowl draw and timescales attached. Stickers (Rd1) will be posted tomorrow. The Caithness Small-Bore Rifle Association Annual General Meeting 2013 will be held in the Committee Room Watten Hall on Monday 16th September 2013 at 8.00 p.m. Marty Simpson Secretary Caithness SBRA. 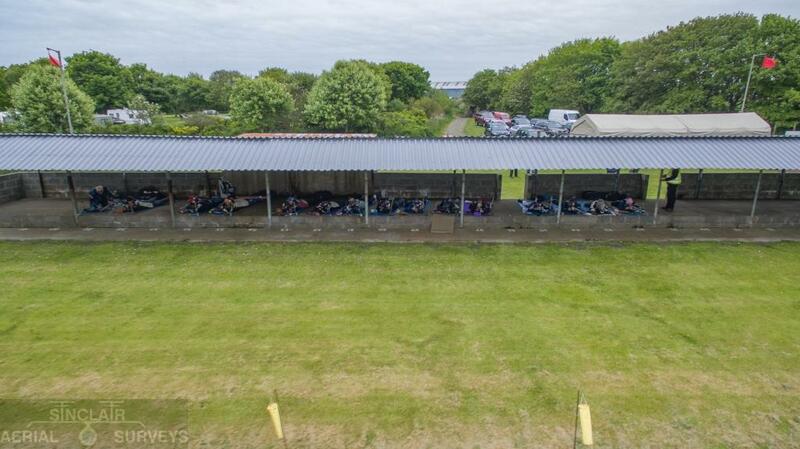 The Caithness Smallbore Rifle Association Open County Meeting and Scottish Smallbore Rifle Association Grand Prix 3 was held on Saturday 1st June & Sunday 2nd June at the Wick Old Stagers outdoor range. The CSBRA are looking at having a logo developed to put on T-shirts/jumpers/fleeces with the shooters name and club. The old logo with Morven and a Primula on it was felt to be a bit out-dated, so the association is looking to develop a new one. If you can come up with a design please contact Fiona Spence or Marty Simpson.